Limited to 999 units, the Ultrasone Edition 15 Open-Back Reference Headphones utilize a gold-titanium compound, which combines a gold foil membrane and a titanium dome, to deliver remarkable sound performance with fine detail and clear transparency. The Edition 15 features S-LogicEX technology, which arranges the drivers in the earcup to provide a natural music listening experience that is close to listening to music on high-quality speakers. The wide panorama and three-dimensional sound provide authentic spatiality. S-LogicEX allows the Edition 15 to achieve the same perceived volume with significantly lower sound pressure, which translates to longer listening sessions with less ear fatigue. Other notable features include ULE (ultra-low emission) technology, which uses Mu-metal shielding to protect against electromagnetic radiation. The 40mm drivers utilize neodymium magnets and provide a frequency range of 5 Hz to 48 kHz with an SPL of 94 dB. 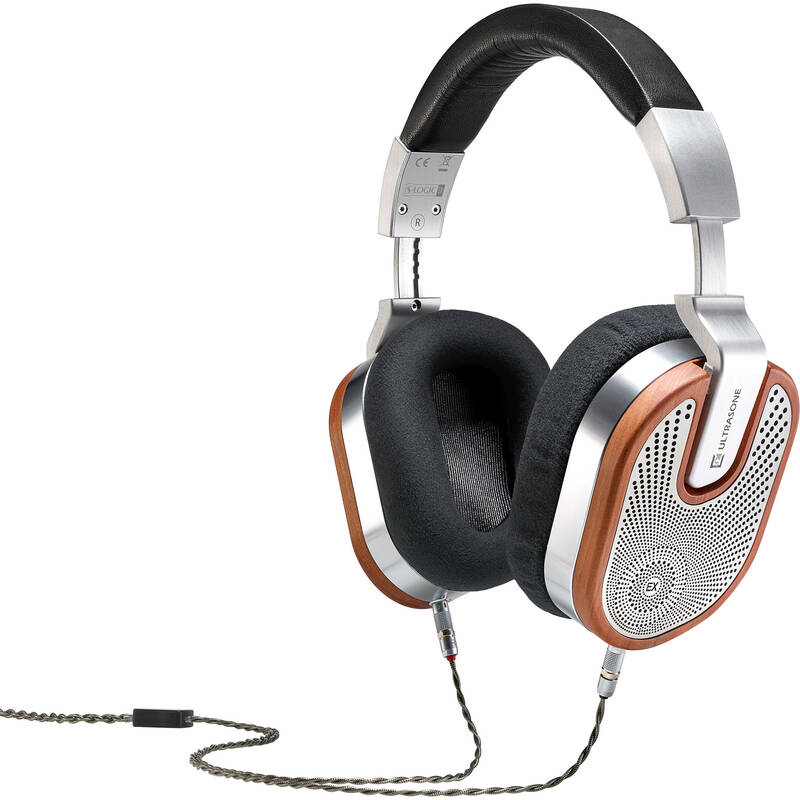 The earcups are made from American cherry wood and feature stainless steel covers and high-quality cushions, which are covered with Merino leather and magnetically attached. The headphones include two 4-core cables (9.8 and 3.9') with LEMO connectors at the headphones and an 1/8" connector at the source. The Ultrasone Edition 15 is handmade in Germany and ships with a genuine leather case, a micro-fiber cleaning cloth, and a screw-on 1/4" adapter. Driver arrangement creates a natural listening experience, which feels like listening to music on high-quality speakers.